On Sunday, Brazilians elected Jair Messias Bolsonaro president for the next four years, giving him 55.13 percent of valid votes. After the win, he addressed the nation three times, from his home in Rio de Janeiro. First, via Facebook Live; then, he spoke live to television networks; and then, Facebook Live once more. 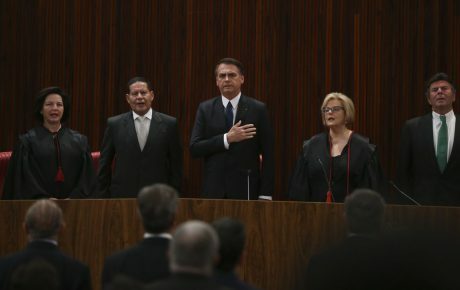 Flanked by his wife, Michelle Bolsonaro, and a sign language interpreter, in the first live broadcast Mr. Bolsonaro placed four books on the table: the 1988 Constitution, the Bible, Winston Churchill’s “Memoirs of the Second World War,” and a book by ultra-right guru Olavo de Carvalho called, freely translated, “The minimum you need to know not to be an idiot.” During the second broadcast, he talked with the supporters gathered in front of his apartment building. 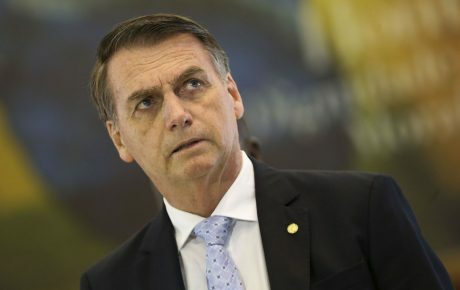 When Mr. Bolsonaro talked to the television networks, he adopted a more institutional tone – of sorts – reading a printed speech. But before speaking, he and his allies prayed. Here are the main highlights of Mr. Bolsonaro’s first address to the nation (or to his Facebook followers) as president-elect. Ever since he started rising in the polls, pundits and journalists (The Brazilian Report included) have warned about the risks that Mr. Bolsonaro represents for Brazilian democracy. His running mate talked about writing a new Constitution (without the need of lawmakers chosen by the people); one of his sons talked about shutting down the Supreme Court, and the president-elect himself suggested Workers’ Party supporters will have to choose between prison or exile. A president-elect promising to respect the rule of law is the bare minimum – and the fact that Mr. Bolsonaro had to do so shows how much he is feared. What about the worst-case scenario, you ask? “Erosion of democracy and collapse.” If the fears of Mr. Bolsonaro’s critics are confirmed, Brazil would emulate Venezuela, or Putin’s Russia, or present-day Nicaragua. There’s no way to know before January 1st, when Mr. Bolsonaro will take office in Brasília. Duque de Caxias was a 19th-century military leader known for leading the Brazilian Army in the Paraguay War (an 1864-1870 conflict in which a coalition formed by Brazil, Argentina, and Uruguay massacred over 200,000 Paraguayans, creating a demographic crisis that the country would need decades to recover from). Moments later, however, Mr. Bolsonaro took a shot at the left, saying during his first Facebook live that Brazil “can no longer flirt with socialism, communism, populism, or left-wing extremism.” At no point did he mention runner-up Fernando Haddad nor the Workers’ Party. Four years ago, the same thing was criticized in Dilma Rousseff’s victory speech. 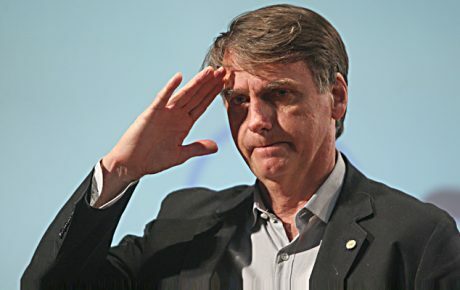 Criticism towards the Workers’ Party’s foreign policy was a mark of Jair Bolsonaro’s campaign. In his speech as president-elect, Mr. Bolsonaro didn’t say which countries he wants to get closer to. It is safe to assume, though, that the aggressive rhetoric towards the U.S. that marked Brazil’s foreign policy during Lula’s years will no longer exist. Mr. Bolsonaro said he got a phone call from U.S. President Donald Trump (to whom he is often compared). 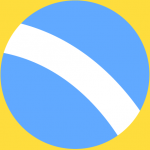 The election of the former Army captain spells bad news for Mercosur, the common market made up of Brazil, Argentina, Paraguay, Uruguay (and soon Bolivia, Venezuela is a suspended member). Mr. Bolsonaro prefers bilateral deals rather than regional integration. His foreign policy will be guided by the economy. Period. 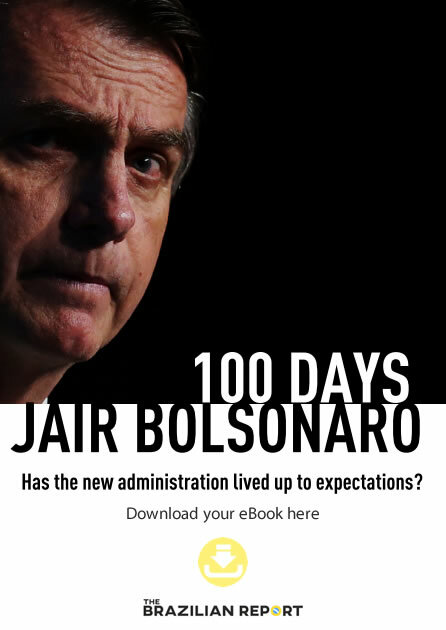 What will the economy be like under Jair Bolsonaro? Mr. Bolsonaro didn’t get into specifics when talking about his recipe for the economy. However, his economic guru Paulo Guedes, an ultra-libertarian economist, wants a pension system reform even more radical than the one proposed by sitting President Michel Temer. Mr. Guedes also talked to the press yesterday, promising a massive privatizations plan, wanting to use the money to cut down public debt (currently around BRL 3.5 trillion). The most probable scenario is that Mr. Bolsonaro will bring something resembling Mr. Temer’s pro-business approach to the economy – but on steroids. Mr. Bolsonaro has repeatedly used this biblical verse as his personal motto. Before addressing television networks, he prayed with allies. In several moments, he thanked God, talked about his “oath to God” to protect democracy, and called his quick recovery from the stabbing he suffered on September 6 “God’s work” and a “miracle”. Once again, Mr. Bolsonaro reinforced his position as a defender of morality and Christian values. It is safe to say that yesterday’s win was owed in large part to the support the president-elect was able to get from religious leaders.